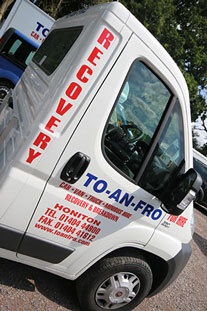 Devon vehicle rentals specialist, To An Fro offer this excellent beaver-tail for hire, ideal for car recovery. 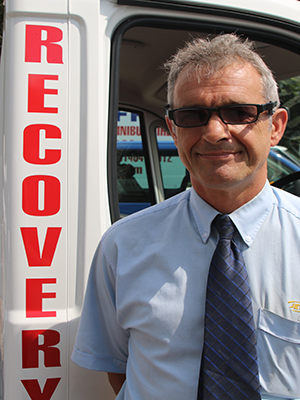 With the recent law changes making it illegal to keep an uninsured vehicle on the road, the demand for self-recovery is growing. Retrieving a car that has broken down, or has been purchased without being legally allowed on the road does mean that you need some way of transporting it. Hiring To-an-Fro's beavertail recovery vehicle can be the most cost-effective way of doing this. This vehicle can carry up to 1.6 tons. For hire with or without driver. For more information, speak to us at To-an-Fro.